I’m not sure the photo does it justice—the colors are a bit softer in person; the two browns are cool in temperature. 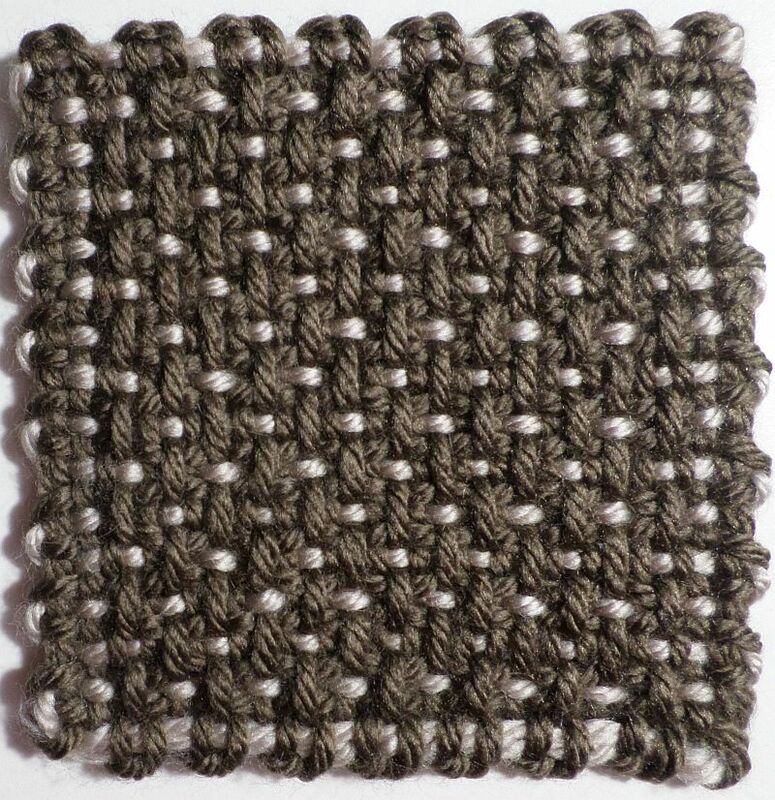 (Photos of pin loom squares are peculiar. Sometimes they flatter and sometimes they don’t.) Whenever I see this square I want to pick it up, like a little Labrador puppy. I recognized the pattern right off when I found the square. It’s so basic it’s almost not worth diagramming, but I did—only I hadn’t posted it on this blog. (Spent several frustrating minutes trying to locate it. Typed in various variants of “3 and 1” and had to sift through pages of posts that had those numerals or words in them. There are A LOT.) Turns out it’s on Windsweptmind, so I’m going to leave it there, but now you can find it here too. There are two versions of Three-and-One (or 3-and-1—use the hyphens when searching for it; that will make it easier to find): the U3 version and the O3 version. Generally I prefer the U3 version because I prefer warp floats to weft floats, or vertical lines to horizontal. 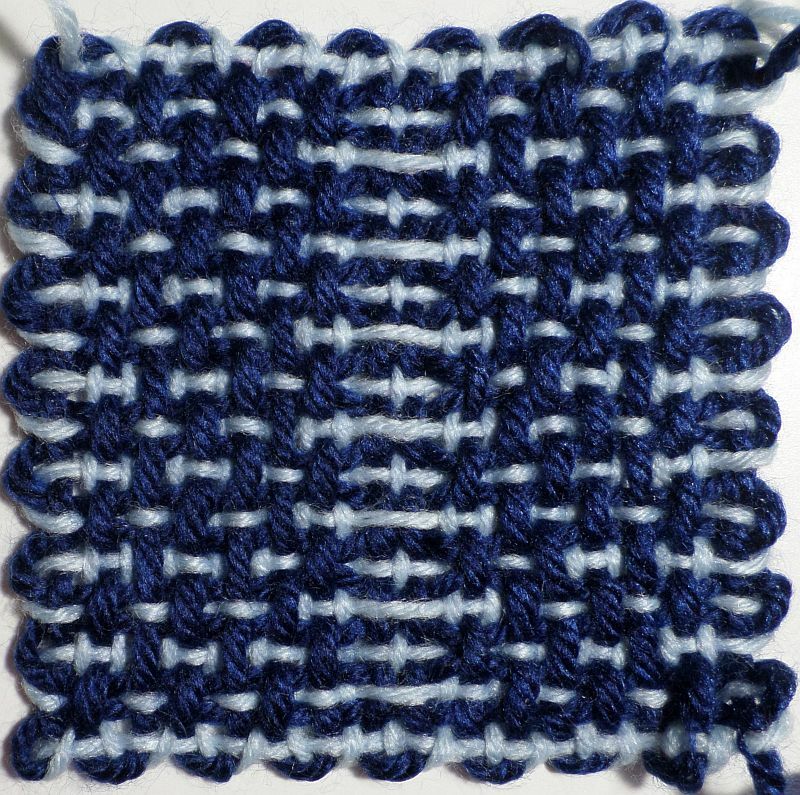 What’s really fun is that these patterns are like do, re, mi, or Leslie Sansone’s four basic steps—they’re the foundation for all pin loom pattern weaving. On their own the patterns are pretty, but mix them up a bit and you create … me! 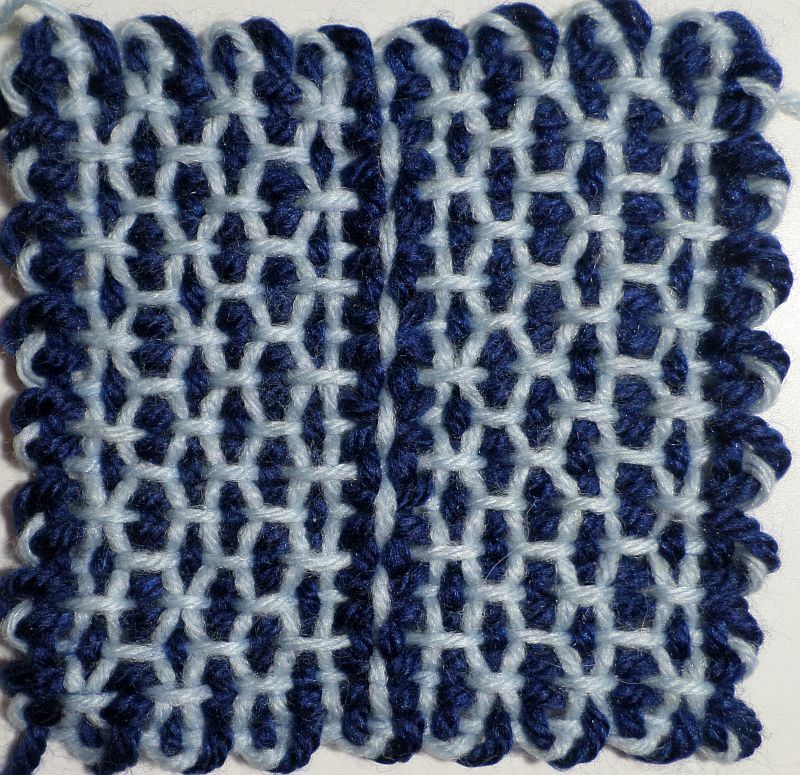 Here are a couple of variations of this basic pattern. I only have a photo sample of one because the other one ended up in a baby blanket I gave to a friend.